Whether you’re looking at newborn beanie hats or preparing for winter, we’ve got you covered. Baby hats come in all different shapes, sizes, and styles. For new parents to be, hats for your baby are a wonderful accessory to have. They are perfect for just about any occasion whether it’s: everyday, weather, or season. Plus, your baby will look super cute wearing them. Baby hats are specifically designed to fit snug and comfortably on your child’s head without them feeling restricted. We came up with a list of the top 10 best baby hats that 2019 has to offer in today’s market. For this update we added one new product to our list. We also checked over our list making sure that every product was still currently available and matched our methods of criteria. We added more information about why hats are important for a newborn to wear. For any other questions be sure to check out our FAQ. This hat is so adorable, you might end up looking for one for yourself. Unfortunately, it only comes in baby sizes -- But we're sure your baby will be plenty happy about that when they're all warm and toasty. 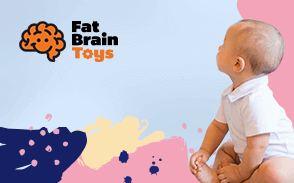 We have finally outdone ourselves when it comes to the cutest products for your baby. This Bienvenu Winter Hood Hat is perfect for girls and boys and is knit with a blend of cotton and acrylic material to provide both warmth and structure when it comes to wearing it throughout the winter months. It's designed to be in the shape of a puppy which means, of course, that any child will love wearing it! The sizing makes it versatile for both babies as well as toddlers and since it fits right over their head, it'll be easy to keep on and protect every exposed part of skin excluding their face. There's no denying that this is an adorable way to keep your baby warm and cozy during chilly winter days but it's also great for holiday photos and get-togethers. The adjustable sizing helps to ensure that this hat will fit a plethora of age groups. It's designed to fit well without being too snug or restrictive, especially since it covers the neck as well. It can also be tucked into a jacket easily, preventing kids from ripping it off while they're outdoors. The fun design of this hat lends itself to be enjoyed by all ages and will encourage your kids to wear it, if only because it's fun! It's a great way to get them to wear a hat outdoors without pushing them to wear something that's boring or uncomfortable. These are typical of what your newborn would probably leave the hospital with but the good news? Gerber makes them much cuter and specifically for girls! These types of caps are much more traditional and often what parents think of when it comes to finding an appropriate hat for their baby. It's typical of what they'd be sent home from the hospital with and serves a simple purpose: To keep your newborn's head warm and prevent them from losing heat. Since newborns need a bit of extra help in that area, these cap-style hats are helpful to maintain heat and prevent them from getting a chill while outdoors or laying down. The caps are also commonly used when putting a baby to sleep since they'll remain in place and won't move around very much while your baby is asleep. Additionally, they can be worn throughout the day and won't cause discomfort because they're stretchy, comfortable, and minimal in the sense that they're made from a flexible, irritation-free material. Hats such as these are the least likely to make your baby fussy because they're snug yet breathable. The design is incredibly simple while still being cute and they do their job in keeping your child's head nice and warm. Having a five-pack of hats has its advantages, one of which being that you'll likely always have one that's clean and ready to go. Additionally, you can keep one in the car and one in your diaper bag so that you're never without a way to keep your child warm. Don't worry, you're not seeing double -- This five-pack of boys' caps by Gerber are just like the ones for girls and boast the same stellar quality and head-warming properties. Since we included Gerber Baby hats for girls, you know we had to give a shout out to the boys as well! These hats are identical to the caps for girls except for the fact that they come in varying shades of blue. Each hat is made of cotton and designed for a comfortable fit. They're appropriate for traveling outdoors as well as wearing inside the house and throughout the day. Additionally, they're good for newborns as well as babies who are several months old and are especially fitting for babies who can be fussy about the clothing that they wear. These hats are traditionally minimal and won't cause any discomfort, they're even great for sleeping in and during naptime. Gerber is a well-trusted brand that knows exactly what babies need. They make it their mission to create products that are high quality but also comfortable and functional, like these caps. You'll get plenty of mileage out of these caps while your baby is growing. They're designed for babies up to six months of age which means from the moment they're born until they're at least half a year old, they'll be able to gain something from wearing this cap. Winter is great for tons of things, the cutest of all being that it's a totally appropriate time to wear pom hats. This one is cute but will also do wonders to help your baby maintain their body temperature on chilly days. Knitted hats are coming back into style and the same goes for beanie-style hats such as this one by oenbopo. In addition to being one of the cutest things we've seen, this hat offers warmth in spades. Each hat is knit in a traditional fashion and finished off with a tiny pom that adorns the top of each. The yarn used helps to keep your baby's head fully-covered and warm even in the most extreme of weather. It's perfect for families who live in a northern climate and find that regular caps just simply don't cut it, as this hat is much thicker and will provide protection from wind as well as frigid temperatures. Each beanie is created with the same knit pattern which makes it stylish as well as functional and at a price that's very affordable. Any baby would look adorable in a hat such as this and you'll be reassured as a parent knowing that your baby is warm and cuddly-cozy. Each hat comes with a choice of six different color options, each just as vibrant and pretty as the next. This would make for a wonderful gift as well for any parent-to-be who is expecting and in need of warm clothes for their baby. The traditional knitted design of this beanie makes it seem much more mature than a traditional baby cap. It adds a level of elegance and chic flair to any winter outfit. A Sherpa is a great option to keep the winter wind and frigid temperatures from affecting your baby. It's a practical hat that also happens to be incredibly adorable and this one is even lined with fleece. Talk about options! This hat and mitten set is another great choice for families who live in areas that have harsh winters. The hat itself is in a sherpa-style design which means it has earflaps in order to shield your baby's ears from the harsh winds that accompany cold winters. This hat comes with a welcome, surprise, however -- It's a matching set! You'll find that the most adorable pair of mittens also comes with this fleece-lined hat and they feature the same great quality that the hat boasts. You'll have a choice of 19 different design options for your little one and with the accompanying pair of mittens, they'll be toasty warm all winter long. This sherpa has an adjustable velcro strap to ensure that it remains in place on your child's head in all types of weather. Additionally, the mittens are designed with flexible elastic so that they stay in place as well... Everything has truly been well-thought-out when it came to the design of this winter-wear set. This set is the perfect gift for multiple reasons, but one of the best is that it's totally baby-proof. The adjustable velcro keeps kids from ripping their hat off while the elastic mittens keep them in place as well. Fleece is a good thing, especially when it comes to preventing your little one from being cold. These hats are great in snow, rain, and just about anything else winter brings with it. Although this set has only 15 options to choose from (as if that's still not a world of a decision!) it's just as good quality is the prior set that we've listed. This hat style differs a bit in the sense that it's a little more lightweight and breathable than the last one. This set will surely keep your baby warm with no problems and is ideal for chilly weather locations or anywhere that experiences a normal winter. While it might become too hot if worn inside, it boasts a soft fleece lining that will break the wind and ensure that your child is just as cozy outside as they are inside. The mittens that come with this set have the same interior-lined fleece and will keep your child's hands nice and warm in the snow, rain, or frigid temperatures. This set comes in two different sizes which allow for a bit more sizing versatility and help to provide a proper fit for your little one. This ski hat has a bit of a different closure than the previous hat by N'Ice as well; it has a hook and loop chin strap that is also adjustable but provides a solid fit that bridges the gap in between several sizes. Your child won't have any issue keeping this on their head no matter how windy it might be outside. You can really tell that care has been taken to design these hats from the inside out. Each one feature an interior that's absolutely perfect when it comes to fall and winter since kids are active year-round and need protection from the cold that's efficient and comfortable. While the flower detail on this hat doesn't help to keep your little girl warm, the fleece lining certainly does! These hats are chic, stylish, and perfect for your baby. Flowers make everything better, right? This adorable set from N'Ice is the feminine version of the previously-listed hats with a slight change in design. These hats are sure to be well-loved by any little girl and would make a perfect starter set or even a gift to the expecting parent. If flowers aren't necessarily your thing, there are 11 options total to choose from in order to find the perfect set for your little girl. Each hat and mitten is lined with fleece to keep your child as warm as possible as well as comfortable through those long winter days. The mittens feature a tiny elastic band on the interior in order to keep them in place while your child is playing and the hat is adjustable with a hook and loop enclosure, similar to the other hats by N'Ice. The thumbless mittens allow for full mobility within them and won't make your child feel as though her hands are cramped up and clammy from being inside fleece-lined gloves for a long time. All in all, this set just screams winter and it's one of our favorites. The little chic touches that have been added to this set are something that we missed in the sets for boys. Any girl would be thrilled to have this as part of her winter wardrobe, not to mention, she'll be super warm, too! The fleece outside makes the entire set that much more comfortable and winter-proof. It's important for your child to feel as though they can brave the cold but it's also important that they're comfortable wearing winter accessories that are soft and cozy over longer periods of time. It's just as important for newborns to be kept warm via hats as it is for older children and adults. This hat is perfect for leaving the hospital and all the months following. For newborns, the trip from the hospital to the car and to their home is a maiden voyage. On this trip, they'll be exposed to things they've never had to experience before such as weather and temperature changes. They've just spent nine months in their mother's womb and aren't used to drastic changes in the atmosphere, especially like the ones that accompany a winter's day. That's why hats such as these can be so imperative when it comes to bringing your newborn home. If you're expecting, a newborn hospital hat should definitely be on your list of things to have. DRESHOW BQUBO has created an adorable option for expecting parents -- this cap features a big bow on top that helps to add a bit of stretch and comfort to what would otherwise be a very boring beanie. Don't worry, though... These hats come in plain, solid colors as well, just in case you're expecting a boy and want something a bit more understated, or don't like the idea of a bow on your little girl's hat. There are eight different options for this three-pack of hats, each one varying significantly from the last. They're all designed for comfort, breathability, and to provide a subtle warmth that's not too overwhelming for a newborn. The stretch fit is something that we find reassuring because no two babies have the same sized head. Having flexibility in the fit allows each hat to hug your baby's head, regardless of how big, or small, it might be while they're a newborn. Earflaps make the world go 'round, right? Well, maybe that's a bit of an exaggeration -- But they do make this crocheted hat extra comfortable and warm! With ten color options to choose from, it's hard to decide which of these beanies is cuter. These are perfect for babies who tend to get chilly and need a bit more than the standard newborn caps. The addition of earflaps helps to prevent tiny ears from getting cold and will be an asset on days when the windchill is nearly unbearable or in snowy weather. The hats themselves are fairly lightweight considering their knitted design and are made out of 100% organic cotton, making them somewhat eco-friendly as well. Sizing isn't something to stress over with these beanies since they're crocheted with a flexible cotton that allows for a proper stretch in order to fit most head sizes. However, for a true fit, sizing is available in three options all the way up to babies who are just over a year old. A crocheted beanie not only looks stunning on a baby, but it provides warmth like you wouldn't believe. The addition of ear flaps does wonders in the way of comforting your baby when you have no choice but to take them outdoors and can really make a difference in their comfort during winter. This beanie can be easily tied with the strings that hang down from it and in the event that your baby happens to be a chewer, rest assured that this hat has been designed in the safest way possible. There are no azo-dyes and it's also free of chemicals that can cause irritation. This beanie will keep your toddler nice and cozy. While this beanie is typically meant for toddlers it does fit any age from 0 to 2 years. It is made of breathable material so that it stretches and grows with your baby as well. It is perfect for your baby to wear for any occasion whether it’s every day, during the cold or just on those morning walks. The materials used for these hats are all eco-friendly. They are also extremely lightweight meaning here that they will not pressure onto your child’s head. We love these hats because they are perfect for your newborn or your toddler. The hat will grow with your baby which means your baby will be able to wear these for an extremely long time. Even if you don’t live in an area where it doesn’t get cold that often, hats for a newborn are extremely important to have especially when they leave the hospital or just traveling in general. There are so many hats in today’s market that we wanted to make sure when choosing our top ten list that we provided a style for everyone’s taste. A majority of the hats on our list aren’t just for newborns either, you’ll notice that some of the hats stretch as your baby gets older, and some even provide toddler sizes as well. Whatever you are looking for we know that our top ten list will have it. One thing we paid carefully close attention to when coming up with our top ten list was comfort. With hats, comfort and warmth for your baby will over all improve their health. For babies and children, it’s known that comfort is a big factor in keeping them healthy. If any item isn’t comfortable, children usually won’t wear it and then for parents it becomes a wasted item that their children will never try on ever. We made sure that didn’t happen with the hats on our list. We looked at hats specifically that were insulated as well as lightweight. Nobody wants to wear a hat that is heavy on their head. We also wanted to make sure that each hat on our list would keep your newborn nice and warm. Another factor that we considered was we wanted to make sure that we looked into weather. We wanted to make sure we included hats that could be worn not just outside but indoors as well. You will see various styles of both on our list so there is a little bit of something for every family’s needs. We wanted to make sure we had a diversity because we know that weather can sometimes become a little bit unpredictable. Style was also something that we factored in when coming up with our top ten list above. We wanted to make sure that every hat on our list was durable, comfortable and well-made. We know that for parents and caregivers it can be extremely overwhelming trying to find the perfect style for your baby. We wanted to make sure that we provided you with the best of the highest quality of baby hats that 2019 has to offer for your little bundle of joy. We are sure that you will find exactly what you and your family need for your newest addition no matter what the occasion is. Don’t worry — Babies aren’t easy and it’s okay to not be certain of things, such as whether your baby is feeling too hot or cold. Since they can’t speak or dress yet, it’s up to you to determine what they need. By feeling your baby’s hands and feet, you can get a basic idea of their body temperature and whether they need a little extra coverage or if it’s time to remove some layers. If your baby feels a bit chilly and their skin is slightly blotchy, that’s an indication that they’re colder than normal. If the result is the opposite and they’re warm to the touch and restless, this is usually a pretty good indicator that they’re too hot and need some breathability. Why is Temperature So Extreme for Newborns? This can be explained very easily. While inside the womb, babies are used to their bodies as well as their environment being regulated by mom’s internal body temperature. Through the process of homeostasis, babies are kept in a constant temperature for nine months without the fear of being too hot or being too cold. Once they’re born, this all changes very quickly. The presence of warmth is no longer something that they’re receiving automatically which is why it’s important to provide it for them, whether via a hat or other means. Body heat is the most comforting form of warmth, but a few extra layers don’t hurt when the weather is chilly outside. Due to the surface areas that babies have and the fact that they likely won’t have hair yet and have slightly enlarged heads, regulating their body temperature takes much more work than it does as they get older. This is where hats come in to save the day and provide a constant temporary source of heat retainment. Q: If a hat is slightly too big for my baby, will it still work? A: As with any clothing, we recommend seeking the correct size to fit your child. However, in the event that your baby is between sizes, a hat will still provide some warmth but the issue you’ll likely have is that it won’t sit securely on their head. Take care to not let their hat slip down into their face either, as this could be very problematic as well. Q: Can these be machine-washed? A: Yes, most of these hats unless otherwise specified can easily be thrown in the washing machine. When drying, take care to use the “low” setting to avoid shrinking or deterioration of the hat’s materials. Q: Are they safe for babies to sleep in? A: We’d recommend going with a cap-style hat, similar to what your baby will likely come home from the hospital with. Other hats on this list can be too thick and heavy and will only cause babies to overheat rather than help to maintain their internal temperature. A: Yes, most of these hats can be purchased for either a boy or a girl — There is no reason they can’t be worn by either gender. Q: Could my toddler wear a hat like this or will it be too small? A: To answer that, it’s best to check the sizing on the particular hat in question. For the most part, these hats have a bit of stretch, but make sure to check the measurement specifications before purchasing for an older child. Q: Can they be worn outdoors in the snow or rain? A: All the hats that are designed for outdoor use are specified in the summaries of each. Most hats are perfectly acceptable winter-wear.